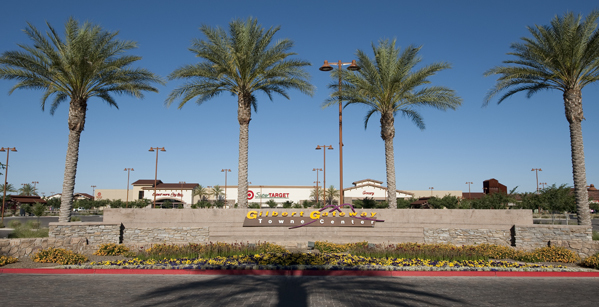 Gilbert Gateway Towne Center is a central part of an over 600 acre assemblage by Circle G around the intersection of Power and Ray that also includes master planned residential, business park, and medical. 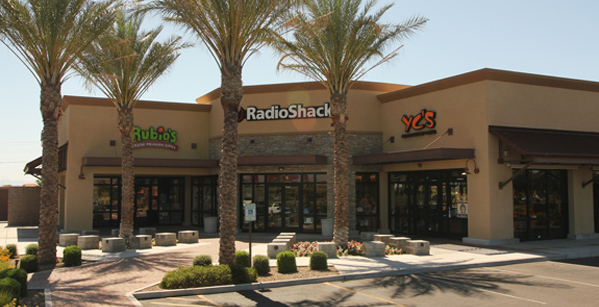 The shopping center was developed as a joint venture with Vestar, the premiere power center developer in the Phoenix metro region. 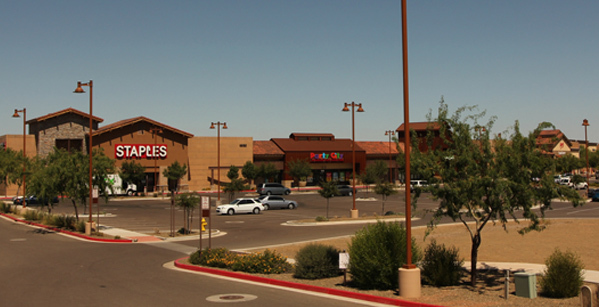 Gilbert Gateway Towne Center (visit the site) is an 80-acre retail development with approximately 800,000 square feet of leasable space. 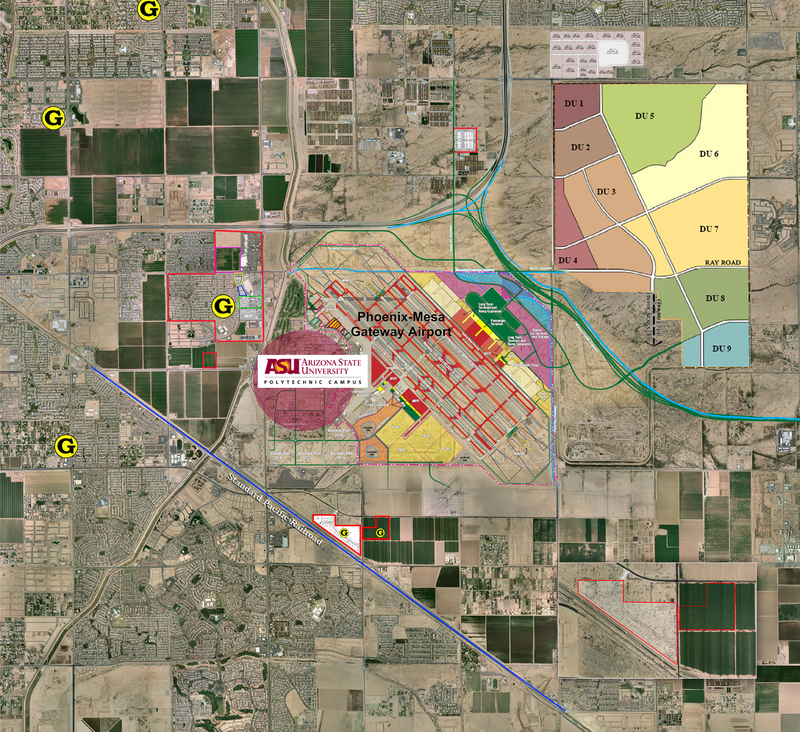 The project is strategically located at the southwest corner of the Loop 202 Freeway and Power Road adjacent to the Phoenix Mesa Gateway Airport and Arizona State University East. The shopping center consists of two phases. 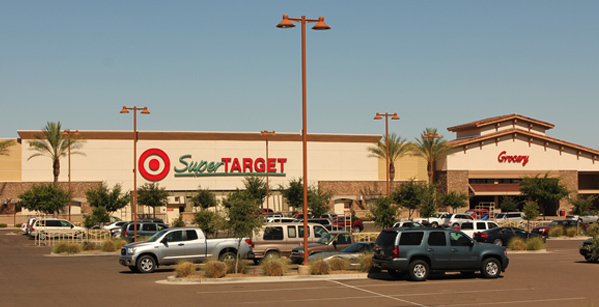 Phase I is anchored by a Super Target on 50 acres at the northwest corner of Power Road and Ray Road. Other tenants include Ross, Michaels, Pier 1 Imports, PetSmart, Famous Footwear, Cost Plus and Bank of America. 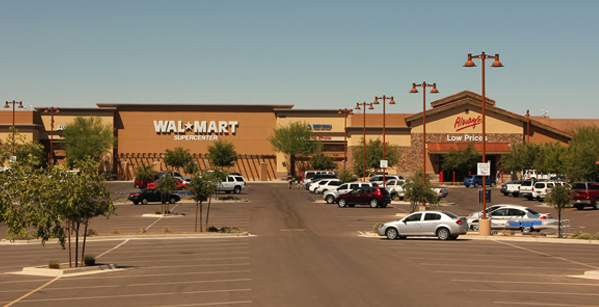 Phase II is anchored by Wal-Mart Supercenter, Staples, and additional retailers situated on 30 acres at the southwest corner of Power Road and Ray Road.